Over the course of a conversation with Peter I became aware that he was oblivious to the existence of video baluns. This made me wonder, how many other VJs are going through life as he is: Anxious and empty, unsure whether the venue he’s playing at will be able to do justice to the imagery he creates, or if they’ll push his feed through some kind of horrible, unshielded composite cable which has been draped over hot lights and snacked on by rats since the last refit in 1982. There’s no shame in this, I too was living under this ominent shadow of doubt. Until I discovered baluns. I’m sorry, I seem to have become distracted, so I’ll get to the point: If you’re a gigging VJ you should have a couple of these in your kit. One for each end, and some network cable in the middle, that’s all you need to know. Look, I’ll even provide links. 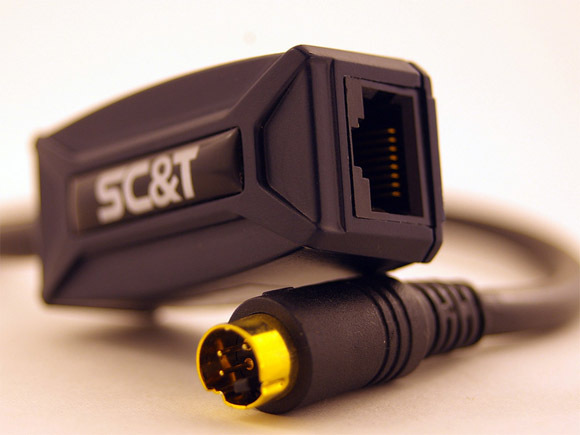 US Readers: A froogle search for “svideo balun“, or “vga balun” should get you on the way. Australian Readers: Jaycar (I wonder how many articles I need to write before they become a sponsor) have your back. SVideo ($39.95 each) or VGA ($149.95 for a pair).